C Solutions specializes in VB6 to VB.NET migration projects. Our experience with VB goes back to VB3, and, our experience with Basic goes back to the days when personal computer data was stored on cassette tapes. So, we have the background to work with your older VB programs, and the cutting edge experience with .NET to convert your current program from the old way of doing things, to the new. This will greatly extend the useful life, and potential things you can do with your program(s). Isn't it time you made the leap with your legacy programs from VB6 and convert them to VB.NET? We're here to help. Click here to contact us at C Solutions so we can start the process of converting your VB6 programs to VB.NET. Microsoft is not looking to make things any better for VB6 programs. Their official policy, for Vista and Windows 7 is "It Just Works", from their website - "The Visual Basic team is committed to “It Just Works” compatibility for Visual Basic 6.0 applications on Windows Vista, Windows Server 2008 including R2, and Windows 7.". I don't know about you, but, I would like to run my business with a system which has stronger backing for it than "It Just Works". In fact, Microsoft publicly says it does not officially plan to even support VB6 after Windows 7. Specifically, from Microsoft's website, "However there are no plans to include VB6 runtime in future versions of Windows beyond Windows 7.". So, you may plan on getting many more years out of those old VB6 programs, time clearly is not on your side. 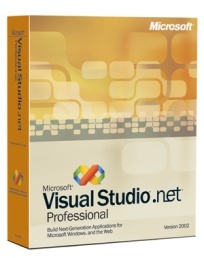 Convert to VB.NET to get Microsoft's help and backing with the latest technologies with .NET. Contact us so we can help give your old programs a new lease on life.